Finn Jones is the British actor best known as Loras Tyrell in the stunningly popular HBO fantasy series Game Of Thrones. This exceptionally talented actor has also starred in the lead role in Marvel’s Netflix series Iron Fist. Starting his career on the UK soap opera Hollyoaks, Jones appeared in several UK television series (Doctors, The Bill, The Sarah Jane Adventures) before receiving the role of a lifetime. Jones was cast in HBO’s Game of Thrones as Loras Tyrell in 2010. 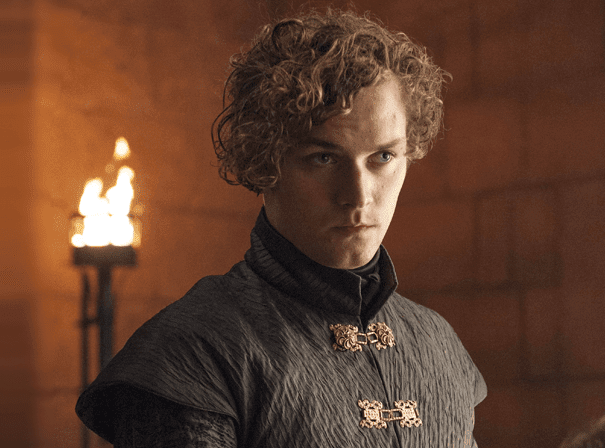 Within the narrative of the much-loved fantasy series, based on George R. R. Martin’s A Song of Ice and Fire novel series, Loras is the heir to Highgarden and the Tyrell lands and titles. This status, alongside his skills and good looks, makes him one of the most sought-after bachelors in all of Westeros. He is commonly known as the “Knight of the Flowers”, and wears armour ornately engraved with flowers. Following his success in Game of Thrones, Jones was selected to play the titular role in Netflix’s Iron Fist, based on the Marvel Comics character of the same name – starring as Danny Rand, a martial arts expert with mystical abilities, he stunned viewers in his first leading part. He reprised the role with guest appearances in The Defenders and Luke Cage, both Netflix-based Marvel series.